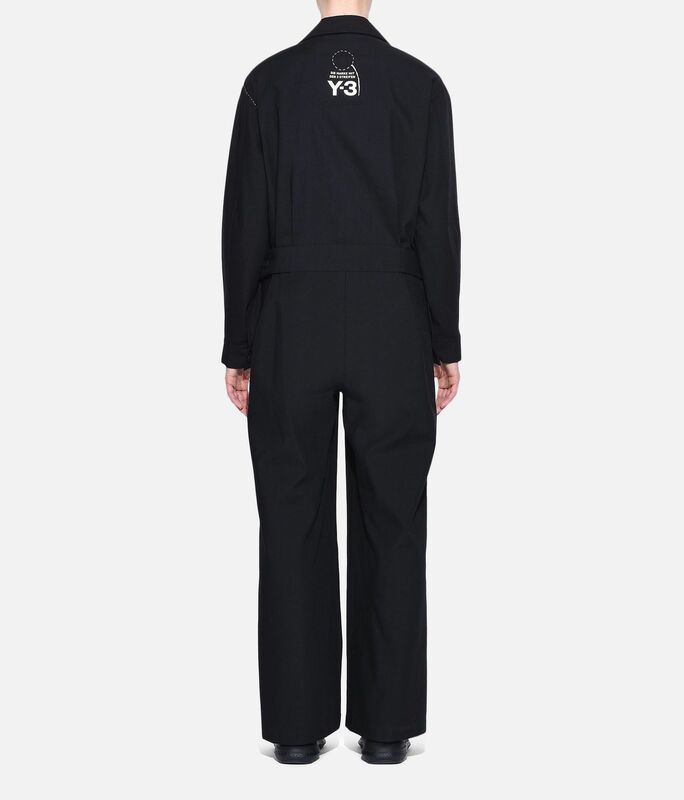 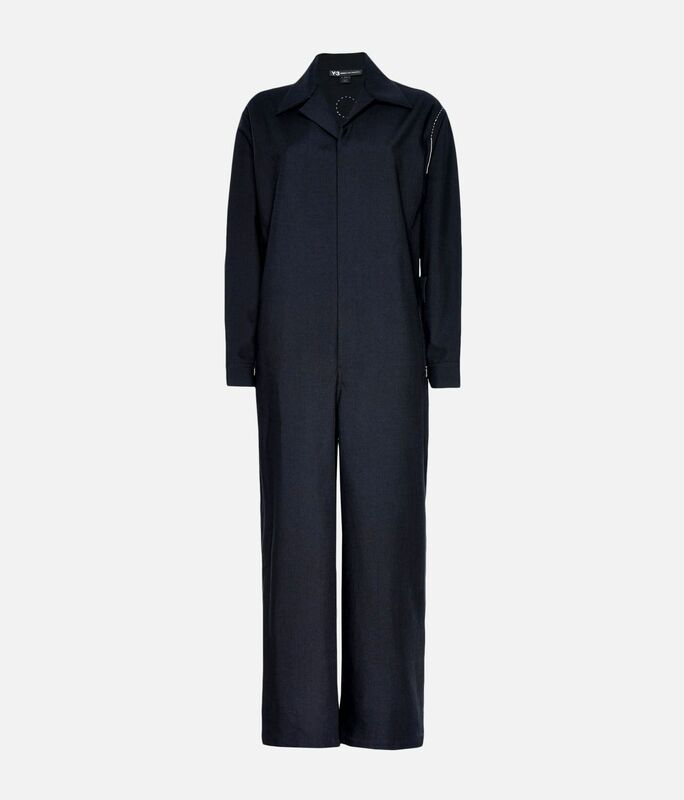 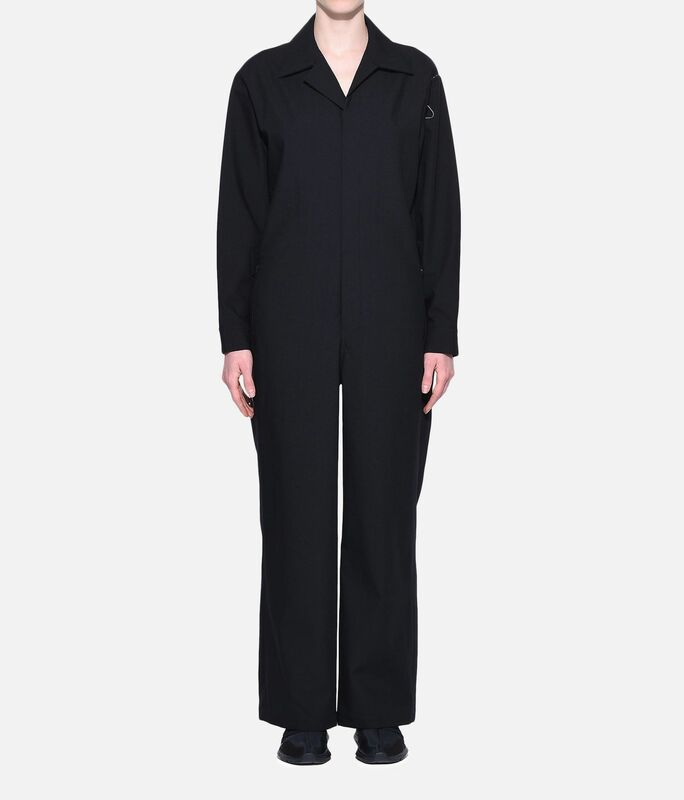 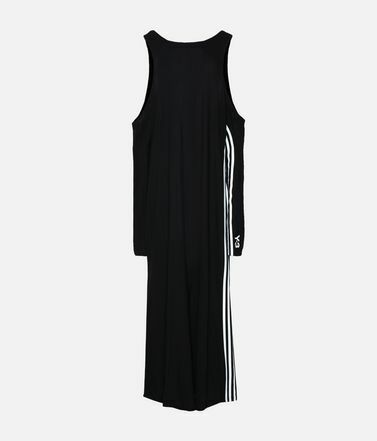 The streamlined design of the Y-3 Sashiko Jumpsuit gives strength to a minimalist silhouette. 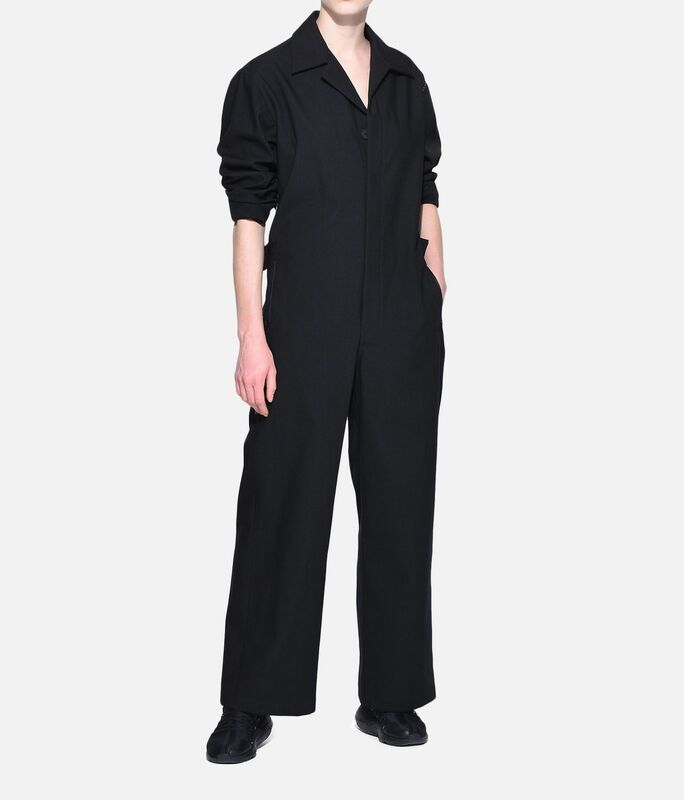 Borrowed from mechanic coveralls, the feminine look has a back-button belt to emphasise the waist. 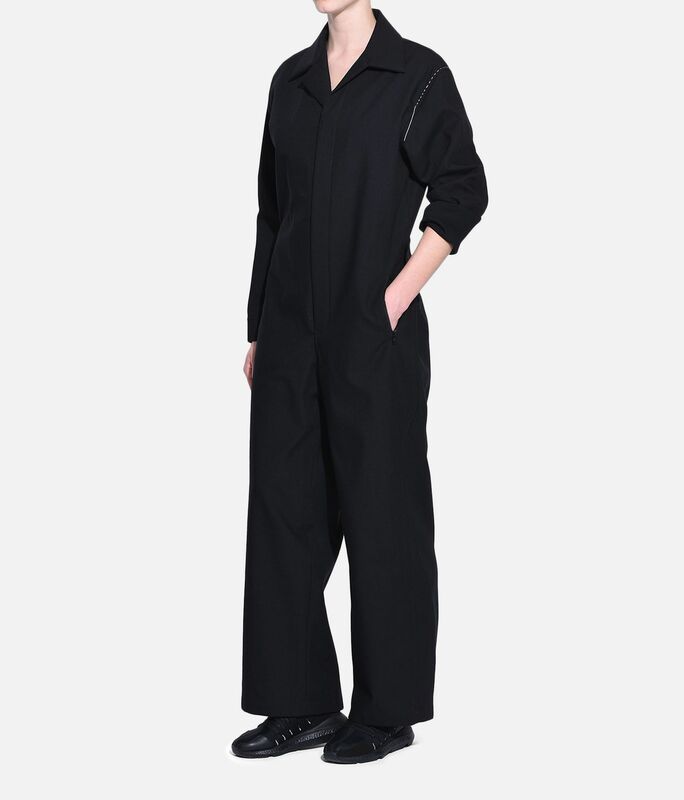 The workman style binds together wool and cotton and is completed with button closures down the front.